Whelks And Conchs And Fossils, Oh My! Shells, shells and more shells rolled in the week after the storms hit SW Florida this week. Folks who didn’t mind getting their toes wet at the surf’s edge for a couple of hours were rewarded with some a-maaaazing gifts from the sea. Annie, Lucy, Heidi and Doug who were visiting Sanibel from Ohio all found some cool shells… and look at that huge empty HORSE CONCH Lucy (in the red sweatshirt) found- it was Shellectric! It was like playing Duck, Duck, Goose… picking up shells and looking to see if they were occupied- Live, Live… Empty! It was almost too overwhelming to look at the beach with all the beautiful colors peeking out of the sand when the waves receded. Which way do I go? But Im not exaggerating about this…. Chris and his wife Karen from Vermont found a JUNONIA at Blind Pass- Shellzam! Patti from NY was overjoyed to find her own big WHELK at lighthouse beach. Boom- Shellalaka! Then I saw her one hour later and… she found another one. haha Ooo Shell-la-la! You can see Clark in the background scooping up shells I showed you earlier this week while families all around him found their own amazing treasures. Rudy from MN was finding WHELKS too- he was around the same spot as Clark and there were plenty to go around for everybody. Happiness. This says it all! The day was so spectacsheller, Kathy was doing the happy dance and shouting to the palm tree tops. Isn’t she the cutest thing? Shelling sisters Andrean and Karen from OK had the same instincts I did throughout the week because I ran in to them at just about every stop- they hit the same beaches at the same time. We should have just car pooled together hahaha. They even found the “FOSSIL PIT”. The last time this road got washed away by a storm, the City Of Sanibel brought loads of dirt with shells mixed in from the FOSSIL pits in Florida so thats why these unbelievable shells rolled out. That OLIVE in Andrean’s hand was still shiny- Wow. And… the shell just to the right of it I believe is a Mitra lineolata which was a common shell 5 million years ago but is now extinct. Cheryl had one in her hand in the other photo too. Blows the mind, right? I hope to do a whole post just on FOSSIL shells you can find around the islands (to see a previous post on FOSSILS CLICK HERE ) but I still have much to catch up on (it was a busy week…. my birthday week- heehee). We also had an awesome time on our iLoveShelling Adventure yesterday so I’ll show you what we found there on my next post. I know lots of you up north are dealing with some terrible weather and preparing for scary storms this weekend so we are sending love and warm wishes to you. Please be safe! Oh and PS- The BROWN PELICAN we took to CROW (on my last post CLICK HERE) is still being cared for at the clinic. He still has a splint on his fractured right leg but they say he is making a nice recovery. Yahoo! Thanks for giving us folks up north a glimpse of the beautiful gifts the sea has to offer. We have about 4 inches of snow with blowing winds in southern Illinois. Wowza!! Everyone on Sanibel is hitting it BIG thanks to the weather! And I can’t believe how big that Olive is in the 3rd to last photo. I wonder how big they can get?! I am in Arkansas. What is the best /cheapest mode of travel to get to these spectacular beaches? And is it better shelling during winter months or summer? I love that everyone is finding such fabulous stuff……. will all the beaches along the Gulf have an abundance of shells come in? Shelling is almost always better in winter because there are more storms, and the storms are what roll in the best and biggest shells. As for the best way to get to Sanibel, that depends on whether time or money is the thing you are most short of. I would fly if you can afford it, because it is so much faster than driving. Fort Myers (RSW) is the nearest airport. Rent a car when you get there. Some people stay in Fort Myers because that is a lot less expensive than staying on Sanibel, but if you do that, you will pay $6 every time you come over the causeway bridge to Sanibel. You can put the words… Arkansas to Sanibel …into Google and get lots of info about the different ways to get there. You can never predict precisely, but with such a big storm, probably most of the beaches have good shells, at least for a while. A big happy birthday coming up Pam! I’ve followed you for over five years and my husband and I are soooooooooooo excited to finally be bringing our six children to Sanibel in March! Thanks for all of your inspiration. 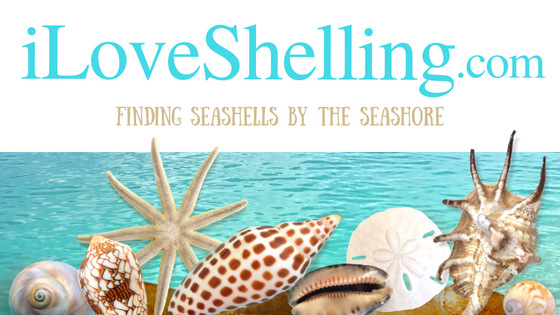 Question for you (or any other Sanibel pro’s) – I hear the shelling is the best from December to March. We are coming at the end of March through the first week of April. Shelling still good then? Happy birthday to you🎂 Happy birthday to you🎂 Happy birthday dear Pam Happy birthday to you!! And many more. Happy Birthday Pam! I’m so thankful for finding your blog–only been following for a few months. Cyber shelling with you is making it sooo much easier to get thru the winter months. The snow (12 inches & counting) is beautiful but I’d rather have sand between my toes. Haven’t been to the Gulf since ’73 but my family is planning a trip to Sanibel this summer. I can hardly wait. It was such a blast in my early 20’s & will be even more fun now with my 6-yr-old granddaughter. She’ so eager to go shellin’. Thanks for all your excellent shelling tips. I’m learning so much from you. It may be your birthday, Pam, but it feels like WE are the ones getting gifts when we read your blog! Happy birthday, and many more! Any tips on good shelling/wading shoes? Like what Kathy is wearing… Last year I couldn’t do the barefoot thing for more than a few days, and when I wore sandals/sneaks I just got broken fragments jammed inside. We’re going on a week-long shelling trip this March and I don’t wanna get cut up and swollen like I did last year! Happy Happy Birthday Pam! I can’t think of a better way to spend your birthday than walking the beach hunting for shells. Enjoy! I hope the shells just keep coming for everyone. I use scuba booties. They protect my feet and keep out sand as well as shell pieces. I might look like a geek too, but my feet are happy. Even old Keds sneakers with socks will work. Thanks for your blog. I live in Clearwater and try to get to Sanibel a couple of times a year. Love your blog. You inspire me! Love your videos too!